Epsom salt is a pure mineral compound of magnesium sulfate in crystal form. Most of us know about the importance of iron and calcium for our bodies, but what about magnesium? 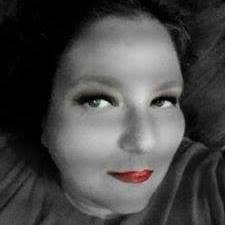 According to the national academy of sciences, most American’s are magnesium deficient. It helps the body regulate over 325 enzymes and plays an important role in many bodily functions, like muscle control, energy production and the elimination of harmful toxins. While both magnesium and sulfate can be absorbed through the stomach, studies show soaking in a bath enriched with Epsom salt increases magnesium levels. 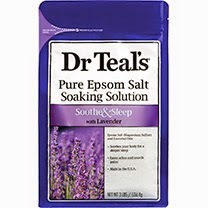 Did you know Dr. Teal's® Lavender Epsom Salt Soaking Solution has pure Epsom salt (magnesium sulfate) that revitalizes tired, achy muscles and refreshes skin’s appearance while luxurious essential oils soothe the senses and provide relief from stress? Used in bath rituals for thousands of years, Lavender soothes and relaxes your mind and body for a more restful sleep experience.